This paper analyses the dynamic efficiency of several types of access regulation of a bottleneck transmission line in electricity markets. Coordinating the timing and location of new production facilities is one of the challenges of liberalized power sectors. It is complicated by the presence of transmission bottlenecks, oligopolistic competition, and the unknown prospects of low-carbon technologies. The authors build a model encompassing a late and early investment stage, a clean (green) and dirty (brown) technologies, and a single transmission bottleneck and compare dynamic efficiency of several market designs. Allocating network access on a short-term competitive basis distorts investment decisions as brown firms will pre-empt green competitors by investing early. Compensating early investors for future network congestion, as for instance in the E.U., only exacerbates this problem. Dynamic efficiency is restored with long-term transmission rights that can be traded on a secondary market (iusvendendi). As early investment lowers the resale value of the transmission rights, brown firms will invest optimally. 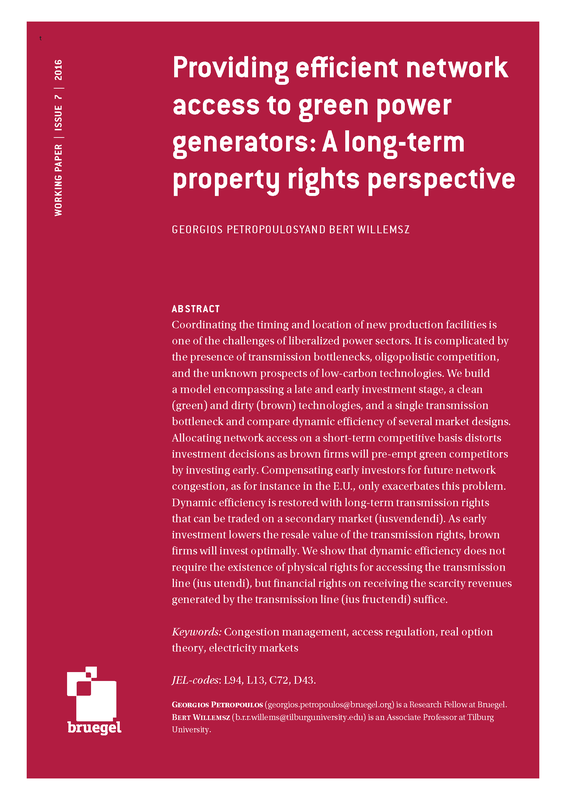 The authors show that dynamic efficiency does not require the existence of physical rights for accessing the transmission line (ius utendi), but financial rights on receiving the scarcity revenues generated by the transmission line (ius fructendi) suffice. How do national energy policies fit into EU decarbonisation plans? Through considering several different national perspectives, we discuss how to reconcile the EU Climate Strategy targets with national energy and climate policies. This event will look at the most important issues related to energy for the next few years. The event will coincide with the launch of a book and online course on this topic. There is a strong case for an oil benchmark in euros. Trading energy markets in more than one currency is not unprecedented, and indeed used to be the norm. Europe – with its powerful currency and reliable regulatory environment – should stand a good chance of success. What is the cost of capital for wind energy investments in Turkey? 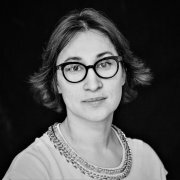 Following the COP24 climate talks in Poland, Simone Tagliapietra reviews the arguments for and challenges to decarbonisation. Cooperation over energy and climate issues could be one of the components of the EU-Turkey Positive Agenda. 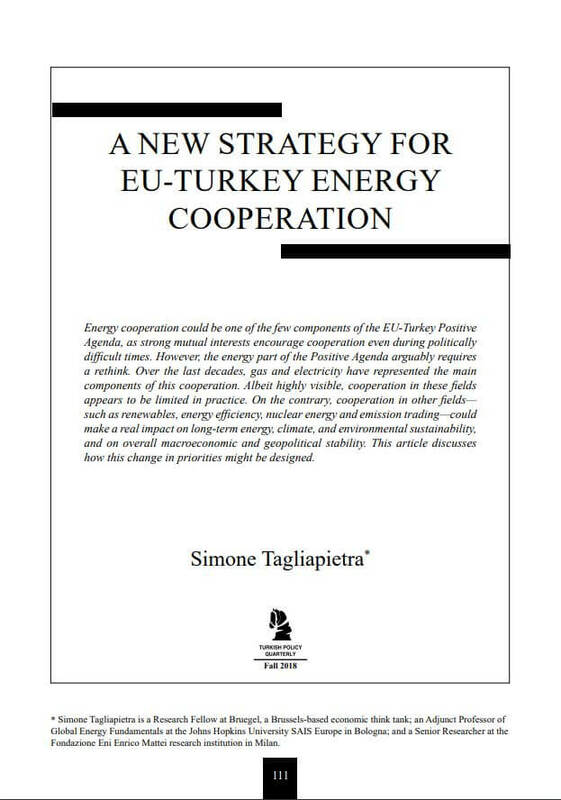 Simone Tagliapietra proposes a new strategy for EU-Turkey energy cooperation, which envisions a shift of focus from gas and electricity to fields such as renewables and nuclear energy. 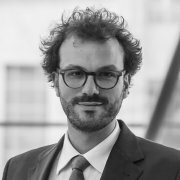 In this episode of Deep Focus, Bruegel research fellow Simone Tagliapeitra explains how the nature of cross-Mediterranean energy relations needs to change, not only in line with new climate-change targets but also to meet the burgeoning energy demand outside Europe. 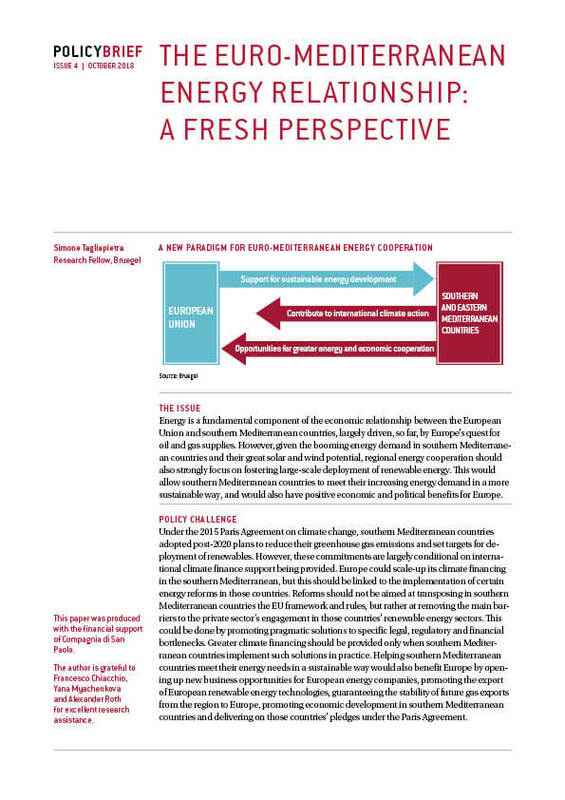 The author analyses the current renewable energy development in Southern Mediterranean countries (SMCs) and proposes a climate financing strategy that retreats from the Eurocentric approach. Not only will it allow the region to meet its energy demand sustainably, it will also benefit the EU, both in economic and political terms. In the third edition of the "Platform for Advanced & Emerging Economies Policy Dialogue" we will discuss trade flows and trade policy between Europe and MENA, integration of developing economies into global value chains, and regional energy relations. 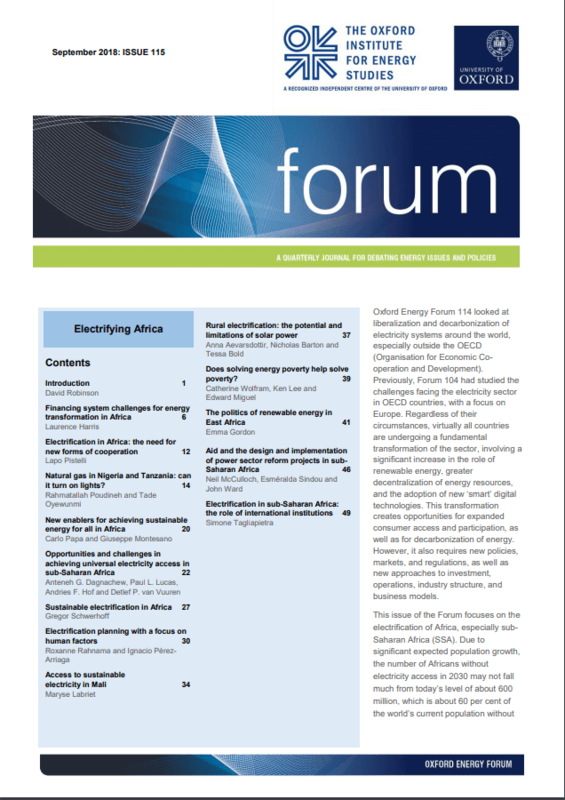 Bruegel fellow Simone Tagliapietra contributed to the new issue of the 'Oxford Energy Forum' with an article on the role of international and European financing institutions in fostering the electrification of Africa.